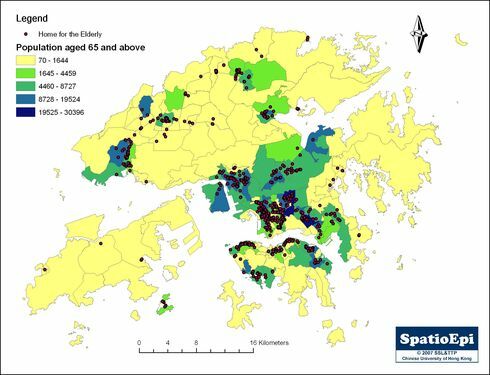 Hong Kong population is ageing. 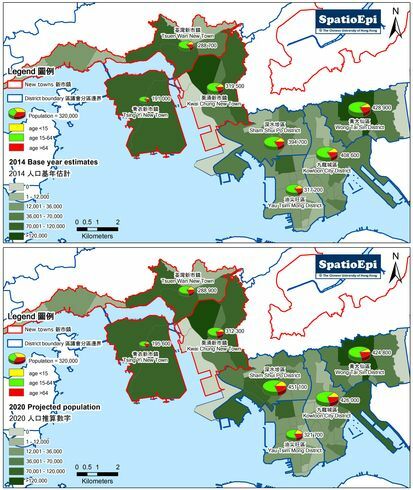 From the map, we can see that most of the homes for the elderly (institutions for old age people) are located in regions where there are higher number of elderly population. Overall, about 96% of homes for the elderly residents have suffered from one or more chronic diseases. In places where there is a high population of elderly people, the demand for professional elderly care will continue to rise.